It is not likely that the prices of oil and gas are going to come down anytime in the near future. This has resulted in car manufacturers and others doing research look into other options that mean cars that are less costly, consume less fuel and consequently reduce expenditure thereof, and increase savings. The electric car is a vehicle that offers the same advantages as any conventional vehicle that runs on gas and yet saves you a lot of money. There are electric vehicle conversion kits that are available and allow your cars to run on electricity. Electric car owners do not have to worry about spending on petrol from time to time nor do they need to set aside a budget separately for petrol. They also enjoy additional benefits such as a noiseless drive, less money and time spent on traveling, and being able to drive at high speeds. To top it all, the electric car is emission free. It is environmentally friendly and the best way to go green. 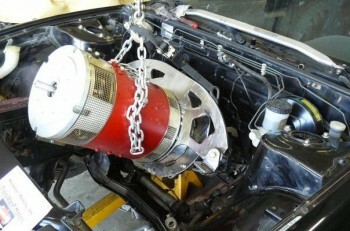 You have the option of converting your car to run on electricity by using do-it-yourself kits. If you are not confident enough with DIY kits, you can always buy off an electric car from a suitable manufacturer. The third option is to buy premade electric car kits that can be fit into your vehicle to turn it into an electrically powered vehicle. Canadian Electric Vehicles is a company that sells electric premade car kits for such a purpose. Universal and Custom kits are the two types that are available. Whereas universal kits are made to suit most vehicles such as smaller trucks and cars, the custom kits are specifically made for a single type of car. They cannot be used on any another type of vehicle or another car. The universal kit comes along with all accessories such as the cables, DC motor, charger, circuit breaker, pot box, shunt, etc. The custom kits are more suited for those vehicles that are made differently than others. Some examples are the kits made for Nissan, Chevy, Ford, etc. The construction of such vehicles may require additional or customized equipment to effectively convert them into electric powered cars. An example could be the different drive system, the boxes, and the battery rack. Some additional points to be kept in mind when getting a conversion kit for your vehicle are the following. First of all purchase the right kit for your car that has suitable tools and additional parts. There should be enough space in your vehicle to be able to place the batteries. Make sure that there is allowance for ventilation in terms of air space. After installation of the kit, it is strongly recommended to first perform a system recheck. Then thoroughly check to ensure correct set up and working of the electric kit. Keeping away from bumpy and rough roads, when driving such cars, ensures that no part of the electric kit is damaged and lasts longer. It is recommended that batteries be charged once every three years.